Xiaomi has officially launched the Redmi Note 6 Pro in Thailand and it could bring the smartphone to India anytime soon. The Note 6 Pro is the first smartphone under Redmi Note series to sport a notch and dual selfie cameras. Before you jump into the confusion, the Note 6 Pro is the same Redmi Note 5 Pro with minor design changes, notched display and dual selfie cameras. Internally, it has the same Qualcomm Snapdragon 636 chipset, 4GB of RAM, dual rear cameras and a 4000mAh battery. On the whole, it’s an incremental upgrade over the Note 5 Pro, which is the best-selling smartphone in India since its release back in February 2018. The immediate change you’ll notice with the Redmi Note 6 Pro is the notched display on the front. The phone has a 6.26-inch Full HD+ display on the front, coupled with 2.5D curved glass on top and it has an aspect ratio of 19:9. Xiaomi states the phone offers 86% screen-to-body ratio, marginally higher than the Redmi Note 5 Pro. At the heart of the phone, we get the same Qualcomm Snapdragon 636 chipset, paired with 4GB of RAM and 64GB of internal storage. Notably, Xiaomi has launched only one variant of the Note 6 Pro in Thailand, but in other countries, we might see other variants with higher RAM and internal storage. Users can also expand the storage with a microSD card slot. Based on rumours, the Note 6 Pro will be available in a 3GB+32GB storage option. Moving onto the optics, the Redmi Note 6 Pro boasts dual camera setup on the rear side- a 12MP primary sensor coupled with a 5MP secondary sensor. The phone has Dual Pixel autofocus, 1.4um pixels and AI portrait mode 2.0 features. To the front, the Note 6 Pro has a 20MP shooter and for the first time, a Redmi Note smartphone has a secondary sensor on the front side. The primary 20MP shooter on the front comes paired with a secondary 2MP depth sensor to provide realistic bokeh effect in the image. 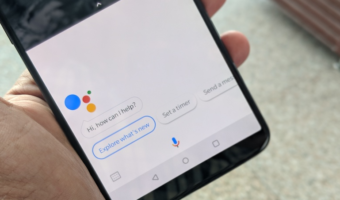 Connectivity options inside the smartphone include Dual 4G, VoLTE, Wi-Fi 802.11 b/g/n/ac, Bluetooth 5.0, GPS and a Micro USB port. Yes, the Note 6 Pro has a Micro USB port in 2018. Xiaomi should’ve used a USB Type-C port as most of the phones releasing these days are arriving with the same. The phone is backed by a 4000mAh battery and lacks fast charging support. Software side of things, the Note 6 Pro boots an unspecified version of MIUI based on Android 8.1 Oreo. But when it comes to India, we might see the phone running MIUI 10 out of the box. Moving onto the pricing, the Redmi Note 6 Pro has been launched in a single variant in Thailand. The 4GB+64GB option of the Note 6 Pro is priced at THB 6,990 (approx. Rs 15,500). The Note 6 Pro will replace the Redmi Note 5 Pro in India, so it could retail at the same price of Redmi Note 5 Pro which is Rs 14,999. 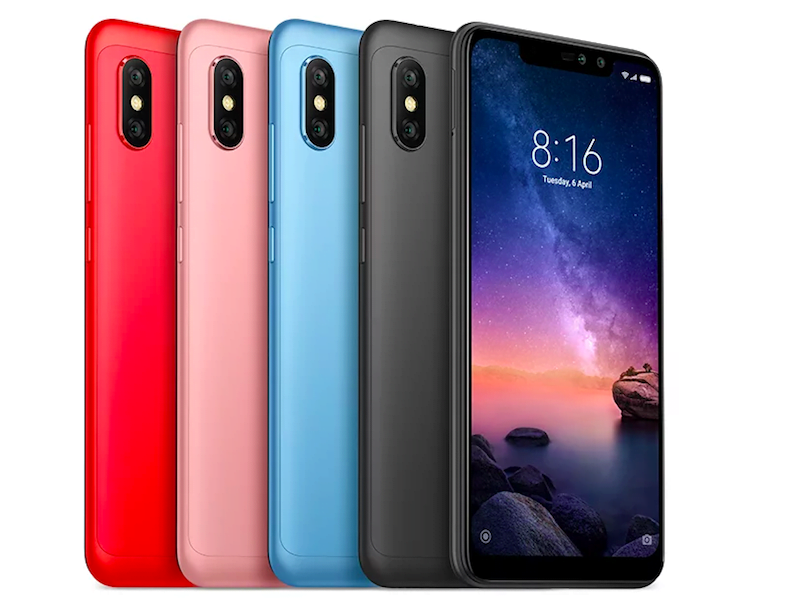 The Redmi Note 6 Pro has been launched in Rose Gold, Black, Blue and Gold colour options. 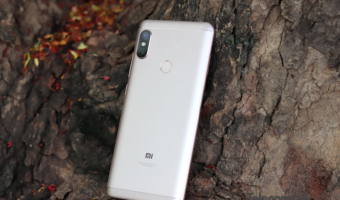 Xiaomi Redmi Note 6 Pro to Redmi Note 5 Pro: What Has Changed? It’s been close to eight months since the launch of Redmi Note 5 Pro in India. So the biggest question in everyone’s mind right now is what has changed? The Note 6 Pro is an incremental upgrade to the Note 5 Pro. Xiaomi has slightly tweaked the design on the Note 6 Pro with cornered edges. The Note 5 Pro has a single selfie shooter, while the Note 6 Pro has a secondary dual selfie camera. The most significant change is the notched display on the front. Redmi note 6 pro is a rebranded note 5 pro. Sad. Indian variant will come with different chipset I feel.